Ever imagined a day when you would not need to carry your bulky wallets with multiple credit/debit cards, currency notes, and coins? 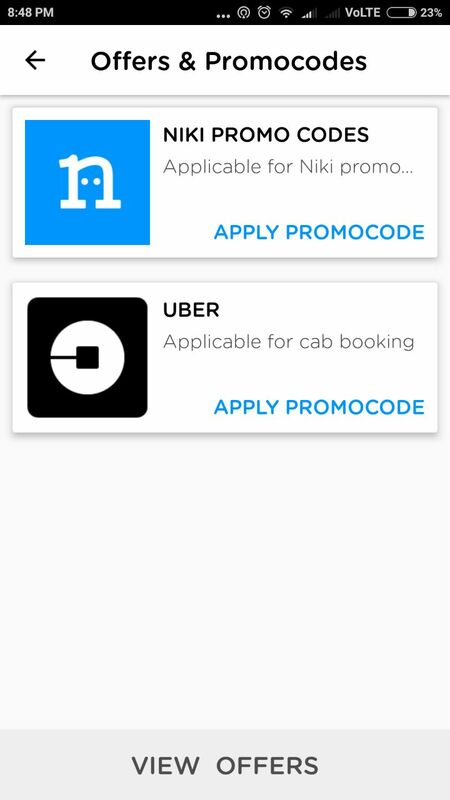 The days are fast approaching with the availability of multiple apps that are ready to replace your wallets and do all our transaction digitally through the app. Having a digital wallet is convenient, quicker, smart and accurate. And with all these service offerings, the company has proudly begun to contribute to the cashless India movement. 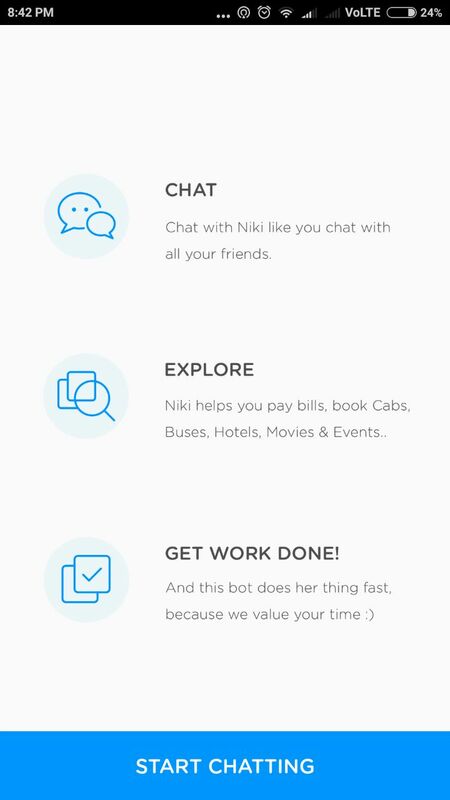 Niki is one such artificial intelligence based app that is gaining popularity gradually as it is growing. From being your personal shopping assistant to your banking manager, Niki is well equipped. 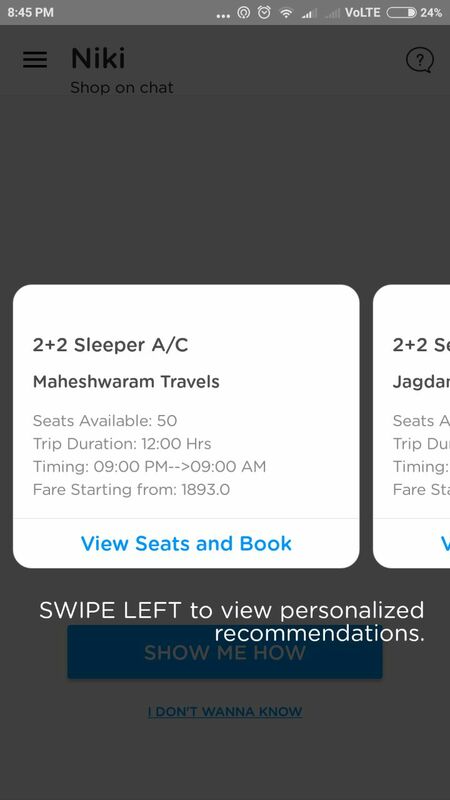 Niki can perform a variety of tasks, such as utility bill payments, mobile recharges, food ordering, cab bookings, hotel booking, laundry services, bus ticket bookings, exploring local deals, etc. Once you join hands with Niki, she will be your one-stop solution for all your payments and transactions. 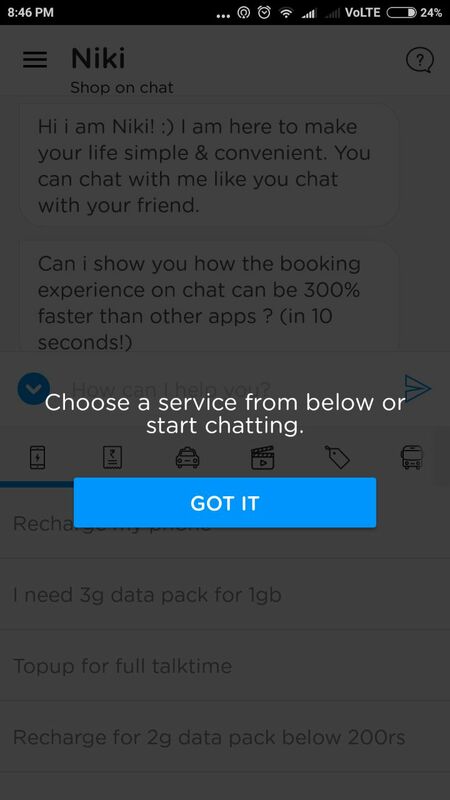 We tried using Niki for a couple of days and it did deliver most of what is promised. The best part, it learns from every chat experience of your with her. It will keep in her mind your preferences that make all the difference. The app’s interface is very simple to understand and intuitive. The moment you install the app and start using it, it will first list the service offerings and help you set up the app. 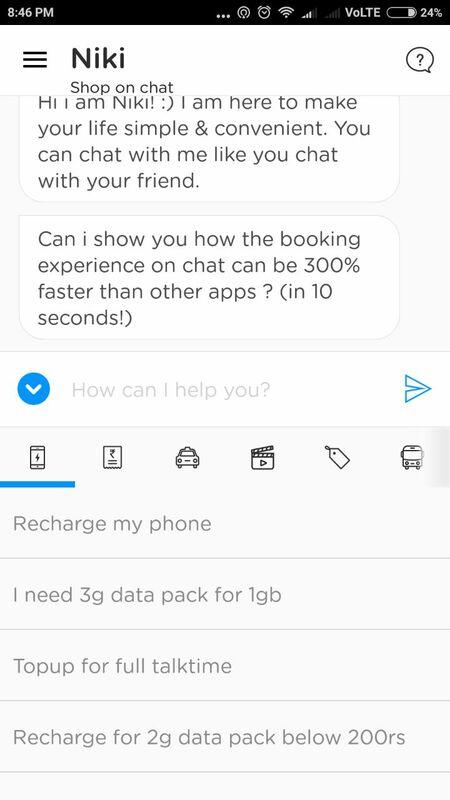 While starting up, it also asks if the user would like to see how Niki can be 300% faster than other apps in terms of booking experience. It depicted the process quite well. As obvious, the app sometimes isn’t able to understand our requests and hence is unable to help with suitable options. But it does make notes of gaps and preferences for better service in future. 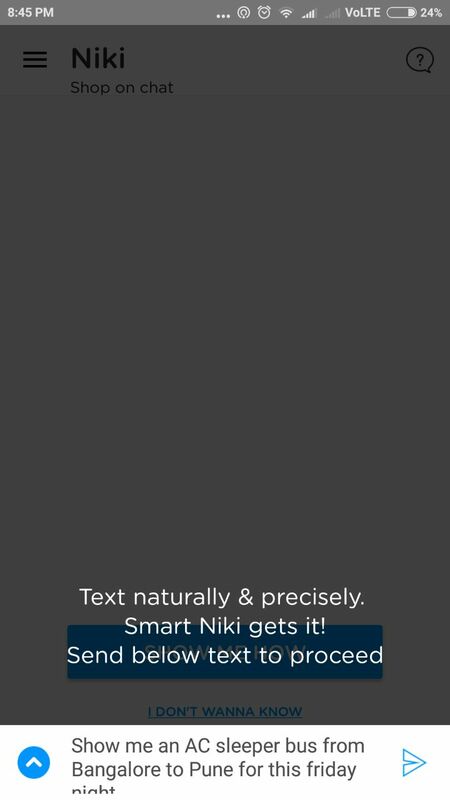 Niki also quite easily understands the normal human language and hence you don’t feel as if you are talking to a bot. The conversation becomes as easy and flowy as you talk to a friend. The company recently announced its tie-up with LazyPay as well which has opened newer avenues for the customers. Owing to this, Niki’s customers can now buy/transact at any point in time and pay later. 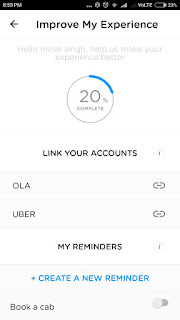 On opting for this feature, users will receive an intimation of the amount to be paid and the payment due date by email and SMS. One of the key advantages of having Niki on your mobile is that it leaves you with ample space on your phone. Since the app is an aggregator of services, you need to not have multiple applications on your mobile screen for various tasks. Niki becomes your one-stop shop. As per the company, Niki already has more than 400,000 customers and there has been a constant rise in this number. The company is also working towards additional partnerships in various categories so that their service range widens and hence increase the app’s utility. The app also has a tab ‘Improve My Experience’. 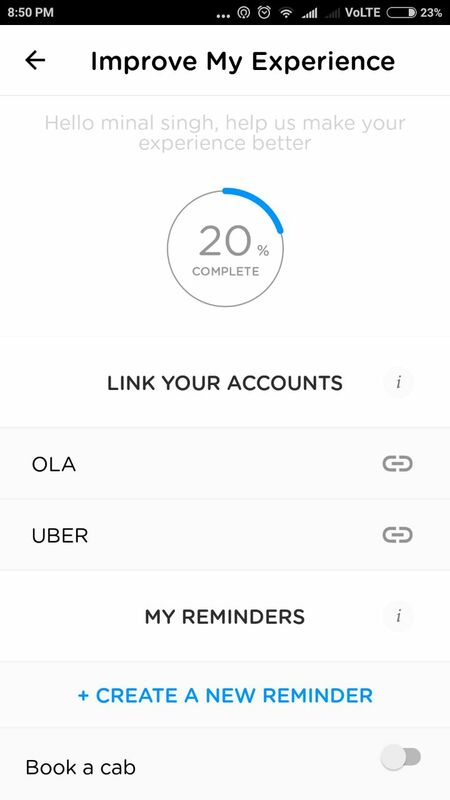 So, in order to improve one’s experience with Niki, they can link their other accounts such as for can booking (Ola, Uber), add reminders, link wallets (Paytm, Freecharge) and even link social media apps. These help Niki get to know the user more closely and offer most effective solutions and services. 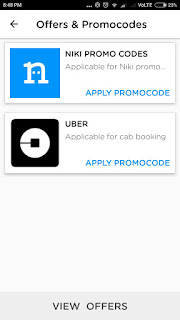 Once you download the app and start exploring various categories, you would be notified about various offers and special discounts as well. So there is not only convenience that you should expect from Niki, bust also some best deals available across various service categories. Best part, the Niki app works on a 2G network as well, seamlessly. So, no more struggling with the need for high-speed internet for getting your tasks done by Niki. 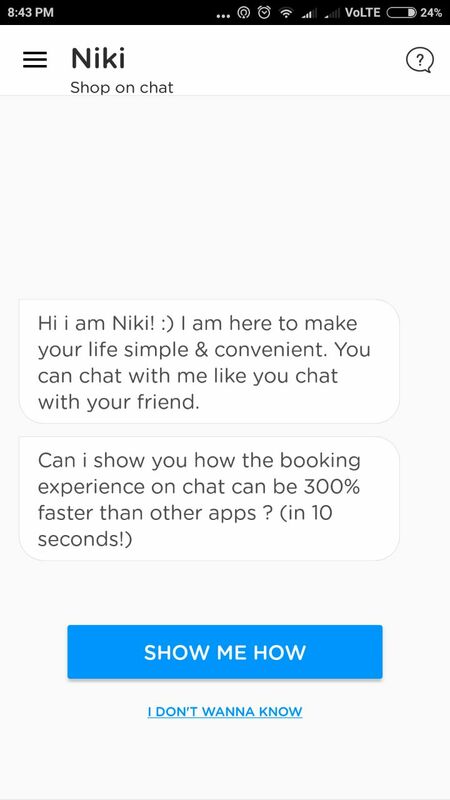 Just open the app and Niki is just a chat away. It is one of the best personal assistants that one can ask for in today’s fast-paced and time-crunched lifestyle. A double thumbs up for Niki!